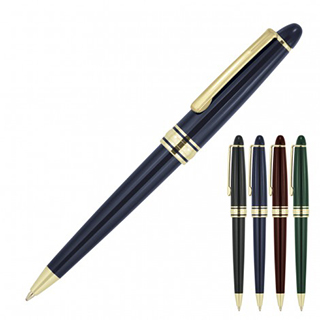 A substantial ergonomic feel and classy fat curves set the Lincoln Ballpoint Pen apart. The push action, retractable ballpoint delivers black ink from a quality engineered plastic Parker type refill with a 1.0mm nib and 1,000m capacity. You can print your promotional logo via the pad print method to the cap to produce a professional executive gift for you corporate event or promotion.